Former South Korean league pitcher Merrill Kelly has joined the Arizona Diamondbacks, a report claimed Wednesday. 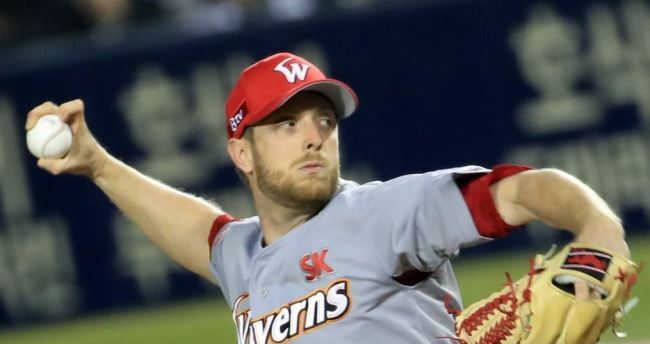 Jeff Passan of Yahoo Sports said Kelly, the former ace for the SK Wyverns in the Korea Baseball Organization, has signed a two-year, US$5.5 million deal. The deal also includes two club options -- first valued at $4.25 million with a $500,000 option and another worth $5.25 million. Kelly made $1.4 million in 2018 here. The 30-year-old has never pitched in the big leagues. He spent the past four seasons with the Wyverns, compiling a 48-32 record with a 3.86 ERA in 119 games in the offense-happy KBO. This year, Kelly was 12-8 with a 4.09 ERA and helped the Wyverns win the Korean Series championship. He made two Korean Series starts, going 1-0 with a 2.19 ERA in 12 1/3 innings.